Over the last two months I’ve produced an audio walk around Hackney using oral history interviews recorded by the Hackney Housing Oral History Project in 2011. The audio walk directs you around Victorian terraced streets, council estates, estate agents and the council service office while you listen to excerpts of interviews with Hackney residents talking about their memories of living in the borough. To download, the audio walk ‘The Way Home’ click here. The memories you hear will make you see familiar places in a new light. The walk begins and ends in front of Hackney Town Hall and takes an hour to complete. All you need is an mp3 player or phone that can play sound files and a pair of headphones. The voices you hear during the walk talk about what home means to them, what has changed and what stays the same, how they fought for better housing and how they hope housing will change in the future. Listening to what the people interviewed have to say you discover that housing has not simply got better or worse over the last sixty years. The severe housing shortage after the Second World War became a surplus of empty housing in the 1970s due to the government’s rebuilding efforts and people moving out of the inner city. As council housing was sold off in the 1980s and private tenants’ rights reduced by new legislation this surplus decreased again. The walk hopes to increase communication about housing’s past and present and ask how we can make it more equal. One thing is clear, home is important to everyone, but each person asked has a different idea of what home is. Only by talking to each other can we find ways forward to the homes we want. 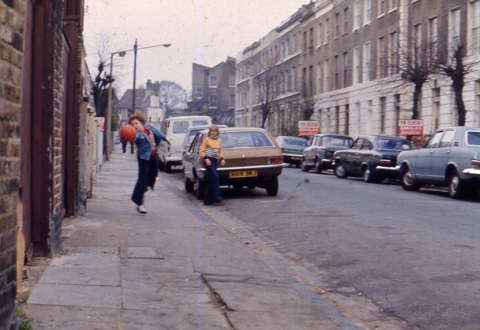 The Way Home was produced as part of the Hackney Housing Oral History Project that has been interviewing people in Hackney about their experiences of housing since 2010. Tags: Hackney, history of housing, housing supply, tenants stories. Bookmark the permalink.